Background: Tanzania nearshore marine waters and coastal habitats of Rufiji (now Kibiti), Mafia, Kilwa, Temeke municipality (now Kigamboni) and Mtwara Rural districts form part of an important East Africa priority seascapes area that is considered amongst the richest and most important marine resources in the region. The area includes Songosongo archipelago, Mafia Island and the Rufiji Delta. The project area concerned is approx. over 9,OOOkm2 in size and embraces more than 67 coastal villages. The 5 coastal districts are directly involved by the action with a total human population of approx. 200,000. The area includes the largest contiguous block of mangrove forest (Rufiji) as well as extensive coral reefs: These habitats harbour the equal highest levels of coral and fish biodiversity in the region, as well as important sea turtle nesting sites and the only remaining dugong refuge in Tanzania. Project: In January 2013, WWF Tanzania Country Office launched the Fisheries Co-Management (FishCom) project that has 6een working closely with the aforementioned 5 district councils. The overall aim of the project is to improve the socio-economic well-being of coastal communities in the five districts by facilitating sustainable, participatory and equitable use and protection of marine and coastal resources. The project is working mainly through Beach Management Units (BMUs) and Village Council leaders, but also with community members in their Village Community Banks (VICOBA). By end of December 2017 the project will end its implementation therefore it is appropriate to undertake the terminal evaluation. 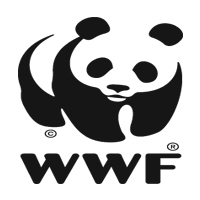 Consultancy: WWF Tanzania is thus seeking reputable individuals or consortium firm with professional experts in under- taking the project final evaluation following implementation of the FishCom Project. The consultant engaged will conduct project final evaluation in the 5 districts against its goal, objectives and expected results with reference to the baseline. Applicant Requirements: A Master Degree in Natural Re- sources Management, Monitoring and Evaluation, Community/Rural Development, Sociology, Development Studies or equivalent; (having PhD will be an added advantage); At least 5 years of solid experience on development and implementation/coordination of projects/programs on coastal zone management, fisheries and marine research, development of projects on sustainable fisheries, community-based natural resources management (BMUs, CBNRM); Knowledge on technical procedures for conducting empirical studies; good technical, orqenizational, presentation, interpersonal and team building and supervision skills; excellent oral and written communication skills in English and Kiswahili. Ability to translate technical information for a non-technical audience and approach effectively to the local context with diplomatic and multi-cultural skills. For additional information, including requesting for Terms of Reference (ToR), kindly contact us through the above address. Applications should be a concise technical proposal fully signed, highlighting company profile and experiences of the evaluator(s), the proposed approach and methodologies, work schedule and timings of the process. Team CVs should also be attached. Apart from one pager application letter, submit a financial proposal, clearly specifying expenses, including unit costs and professional fees. Kindly submit your applications by Thursday 11th December 2017 at 1600hrs.